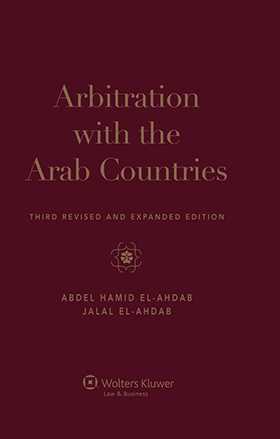 In addition, there will be a chapter on Muslim arbitration law (Shari’a), the Amman Arab Convention on Commercial Arbitration (1987) and the Riyad Arab Convention on Judicial Cooperation (1983). The new edition will be completely revised, updated, and expanded, providing commentary, an overview of case law, and translations of the relevant statutes. Each chapter will follow the same outline to ensure that they are as consistent and comparative as possible and will cover (but not be limited to) issues such as: the legal and judicial system, the agreement to arbitrate, the arbitrators, the proceedings, arbitral awards, the enforcement of the award, and the means of recourse. Chapter 20 The Riyadh Arab Convention on Judicial Cooperation. Annexes Statutory Provisions on Arbitration.